Your level of income may increase to a certain extent when you return to work. Hence, if you are earning a decent salary, formally known as “Substantial Gainful Activity”, then your benefits can be reduced or discontinued by social security administration. The amount of Substantial Gainful Activity is $1180 in 2018. Social security administration provides disability benefits to an individual based on their disability condition and how it affects their ability and capacity to work. Therefore, if your condition during your disability improves to an extent that you are able to resume your work, then you may no longer remain eligible for receiving disability benefits. The SSA actively monitors condition of a disabled person with routine reviews, which are conducted by professionals. These reviews allow them to verify that an individual’s inability is based on their disability. Your accommodation can also affect the level of benefits that you may be entitled to. For instance, if your family, friend or any organization is providing you living assistance, then your SSI benefits are likely to be reduced as SSA will assume that your food and shelter is paid for by a third party. Moreover, these factors may have an impact on SSI; however, they do not affect SSDI entitlement. Is your social security benefit affected by any other factor? 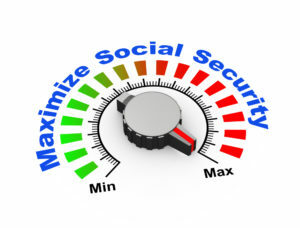 There are many other factors which may have an impact on your social security benefits. These factors are complex in nature; therefore, it can be highly beneficial to seek assistance of reputable and experienced social security disability lawyer. An attorney can help you evaluate your case and save a considerable amount of your time and resources. If you wish to seek further information about Social Security Benefits or set up a confidential case evaluation with an experienced social security disability lawyer, contact the offices of Harold W. Conick & Associates, Ltd. at (800) 608-8881 and schedule a free consultation.